Let's see the one with Batman. The baby was born five minutes later. You're gonna need an underwater camera to get Aquaman. Very Clever. Had to be photoshopped. No way Flash could stand still that long. sure it wasn't photo shoPPed, genius? course it was photoshopped you mug. 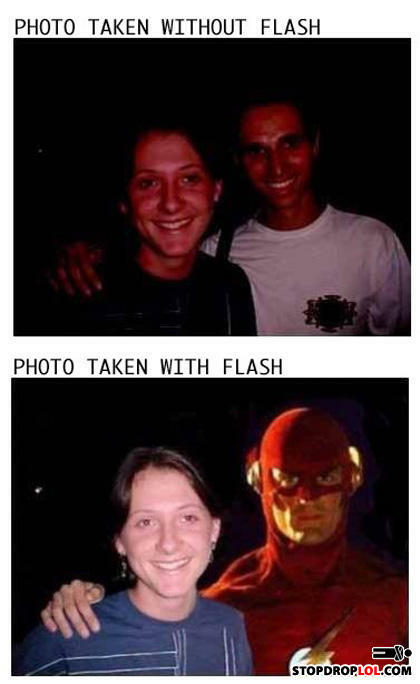 did you think it was actually the Flash?